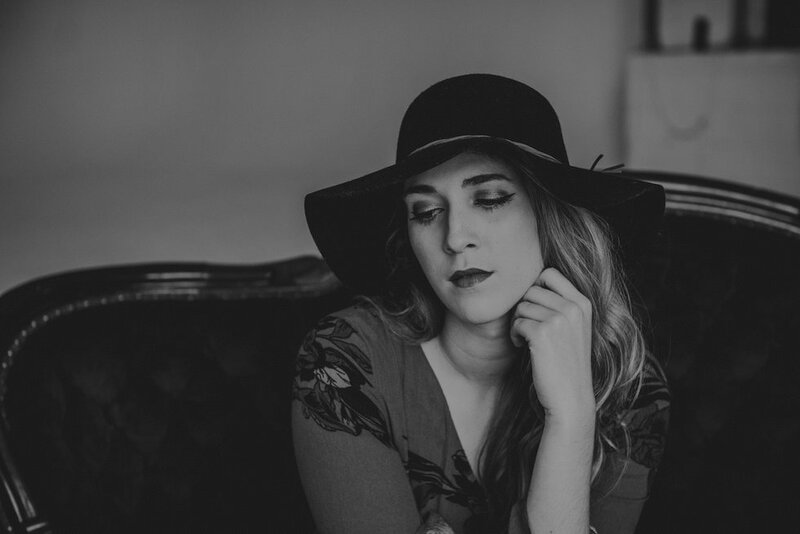 Promising folk-pop singer-songwriter Danielle Cormier realizes a 17-year-old dream that took her from Beauty and the Beast on Broadway to her full-length album debut in Nashville. In January 1996, the 20-year anniversary of Frampton Comes Alive!, Danielle Cormier was born in Pinehurst, North Carolina. Just consider, then, the fascinating imagination process for a young girl growing up in one of the South's golfing hotbeds, an 18-hole course practically serving as her backyard playground, and giving all that up to play something else — like a musical instrument. Cormier, who releases Fire & Ice, her full-length album debut, on Friday, 2 March, was thinking about beasts, not eagles nor birdies nor even Guitar Gods, by the age of five. But in her wildest dreams, Cormier, now 22, never could have imagined that in 2018, she would be singing to the accompaniment of Peter Frampton, the 67-year-old English axman. His landmark live double album of 1976, with mega-hits like "Do You Feel Like We Do" and "Show Me the Way", still strikes a chord with classic rock fanatics all over the world. Yet here he is, on the record, track two of Cormier's beautifully presented and performed piece of folk-pop reflected in 10 songs, nine of which she wrote or co-wrote. With the exclusive premiere of the full-length album stream today at PopMatters, they all can be heard in their entirety for the first time. Cormier also participated in an email interview for this accompanying article, most of which readers can follow while listening to her extraordinary debut here. Frampton's contribution on "Can't Quit You" might be short and sweet, but it signifies the fiery passion that Cormier and Co. deliver on Fire & Ice, along with plugged-in numbers such as "Runnin'", "The Times When", and "You're the One". "Using electric guitars in those songs was important in keeping with the overall theme of the record," said Cormier, who employed producer Adam Lester, Frampton's lead guitarist on tour, to supply the electricity throughout the album, along with bass, keyboards and background vocals. "To me, Fire & Ice is the idea of balancing and incorporating the forces of light and dark in our lives." Cormier began playing the piano as a five-year-old, a direct result of making her career choice at that very same age while seeing Beauty and the Beast, her first Broadway show, with her mother and grandmother. "At the time, they just nodded, not knowing at that point that I had any musical talent. For me, that was the day that started it all. From there, all the plays, singing lessons and instrument playing began. My mind never wavered once on what I wanted to do with my life." Cormier then learned to play acoustic guitar at age 11, began picking at the ukulele and would love to try the electric guitar — and other instruments — in the near future. Yet it's her remarkably precious voice, one that's been compared to Joni Mitchell, Carole King and even (in this corner) Veruca Salt's Nina Gordon — that defines Fire & Ice. Not intimidated to put up her vocal instrument against power chords and hammering riffs, Cormier is confident that she has the skills and the strength to properly maintain the hot-and-cold stability. An electric guitar even complements "The Times When", which "is a pretty personal song for me", she said. Surprised that Lester put it on the album, Cormier added, "It was written after a breakup. I'd written a few songs about this relationship (this is the only one on the album) and this one was the 'post-breakup, I'm stronger for this' song. It helped me move, on and it was liberating to write." 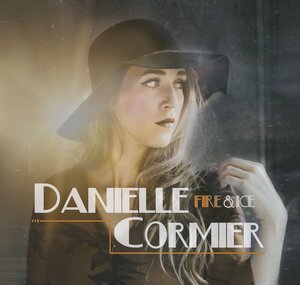 Cormier, who plays a 1 March album release show at Belcourt Taps in Nashville, also throws Alanis Morissette, Grace Potter and Norah Jones into the mix as strong singer-songwriter/role models she admires. "There wasn't one specific artist that made me want to become a singer. I'm definitely influenced by these amazing women, also to include Stevie Nicks and Carole King," Cormier said. "But it was my musical theatre background that really pushed me in the beginning." That interest led Cormier to attend The O'Neal School near Pinehurst, where she'll perform during her first major tour to support Fire & Ice, before enrolling at the American Musical and Dramatic Academy in New York, where she joined the musical theatre program with plans to earn a bachelor's degree. "I loved my time there, and I learned so much. Especially the way they teach you how to break down and the storytelling of a song I have incorporated into my own songwriting," said Cormier, whose 30- to 40-hour-a-week training was "incredibly difficult but rewarding", even if rehearsing on her own time added to the workload. Obviously, it all paid off, though. With the "100 percent" support of her mom and a dad who has "been there every step of the way", Cormier moved to Nashville in 2016. She recorded Fire & Ice at Lester's studio in nearby Brentwood in May 2017. Lester continued mixing the album while on tour with Frampton, when the former Humble Pie singer-songwriter agreed to play a cameo solo after the bridge on "Can't Quit You". It was a jaw-dropping moment for Cormier, who cowrote the song with Lester. "Having Peter Frampton on the album is an incredible honor. I haven't actually spoken to or met him yet. I just saw that he retweeted my post about the single being released, which was pretty cool," offered Cormier, who also cites Jimmy Page with Led Zeppelin ("What he does with those songs is like no other, I can listen to them all day," she said) and John Mayer among her favorite electric guitarists. "I love his style," Cormier said of Mayer. "I've seen him live several times and what he does on that guitar is incredible. I love how he can change up the melodies and riffs but still keep it in the flow of the song." While Cormier stays on course for a promising musical career, don't expect her to get on the Pinehurst links, though her parents Real (a former harness racer) and Tracy own the Pinehurst Track Restaurant, just down the road from the resort. "Sadly, I am not a golfer!" she admits, adding that she still loves to watch the sport and her favorite player, Northern Ireland's Rory McIlroy. One thing's for certain. Cormier won't need a caddy to show her the way.